Fresh Express American Salad Mix is a traditional blend for an all-American salad. 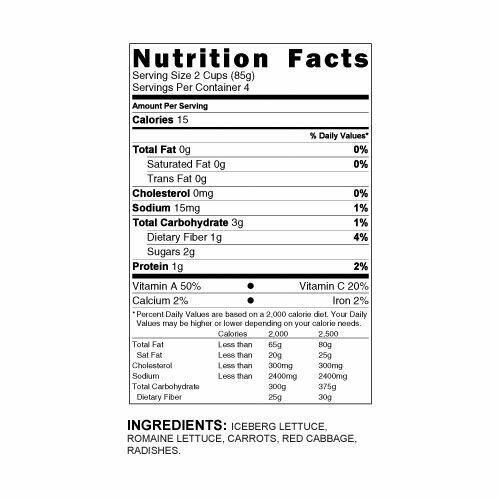 You’ll find refreshing, light-green iceberg and crisp romaine lettuce, combined with red cabbage, carrots, and radishes. For an all-star lunch, add chicken, tomatoes, bacon, eggs, and cheese for a classic Cobb salad. 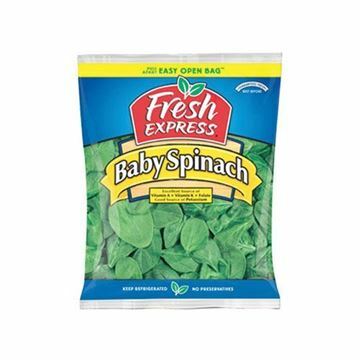 Fresh Express salad is thoroughly washed, rinsed, and gently dried, then sealed in a Keep-Crisp bag allowing your salad to stay fresh longer.